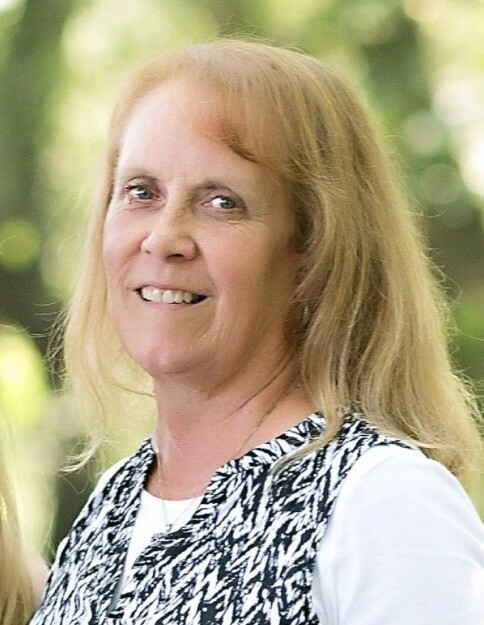 Brenda Mae Langs, age 65, passed away peacefully on Thursday, April 11, 2019, surrounded by her family at the Robert Packer Hospital in Sayre, PA. She married James E. Langs on June 19, 1992 and they shared over 26 years of marriage together. She was born on January 22, 1954, in Wellsboro, the daughter of the late Carl and Helen (Newcombe) Buss. Brenda was a true caregiver, not only as a wife, mother, and grandmother, but also as a Registered Nurse who specialized in hospice care. She took great pride in assisting and comforting families through hospice and home health care. She was a member of the God’s Family Fellowship Church of Wellsboro, where her passion for music allowed her to play piano and sing with the worship team. She was a graduate of Wellsboro High School, completed undergraduate studies at Robert Wesleyan College, Rochester, NY, and obtained her bachelor of science in nursing from Corning Community College. Brenda enjoyed the outdoors, camping with family & friends, but most importantly, spending time with her children and grandchildren. She will be dearly missed by family and friends for her selfless, caring, and nurturing personality. Left to cherish her memory are her loving husband, James E. Langs, of Wellsboro; son, James E. Langs II (Samantha), of Cameron Mills, NY; daughter, Brittany M. Langs (William), of Wellsboro; step-daughters, Robin Mast, of Wellsboro, Tammy Langs, of Wellsboro, and Kara VanBuskirk (Terry), of Winfield, PA; six grandchildren, Kaiden, Daxton, Ryan, Mitchell, Madison and Dawson; one great grandson, Leo; brother, Carl Buss (Carol Anne), of Warrenton, VA; sister, Carol Cavanaugh (Skip), of Wellsboro; several nieces, nephews and cousins; and many dear friends. In addition to her parents, Brenda was preceded in death by her son, Jason Tenny Langs, her great-niece, Callie Anne Cavanaugh, and her mother-in-law & father-in-law, LaVerne and Elizabeth (Drew) Langs. In lieu of flowers, memorial donations can be made in Brenda’s name to the Callie Cares Fund, 1770 McConnell Dr., Williamsport, PA 17701, in memory of her great-niece. Family and friends are invited to pay their respects on Wednesday, April 17, 2019, from 11 a.m. until 1 p.m., at Tussey-Mosher Funeral Home, Ltd., 139 Main Street, Wellsboro. Brenda’s funeral service will immediately follow visitation at 1:00 p.m., with Pastor Joe Wagner officiating. Burial will be held in Tioga County Memorial Gardens, Mansfield. To share your fondest memories of Brenda, please visit www.tusseymosher.com.